It’s been no secret that over the first 18 baseball games of my own 2018 season, Damek Tomscha has been one of my favorite players to watch. What was surprising to me, though, was that he had 48 games and 175 plate appearances last season in Reading. I did remember he came to the Fightins last summer–but hadn’t realized he was there for that many games. I also didn’t realize he slashed .314/.374/.421/.795 over those games, even though I do remember thinking he played well. Still, he’s even better this season. It’s early, of course, with only 19 games and 79 plate appearances in the books. Right now he’s .292/.405/.492/.897–certainly hitting for more power. But everyone his for power in Reading, right? What has really impressed me is his command at the plate. At this juncture he’s walked 11 times–same as last season in Reading, in less than half the PA–and struck out only 9 times. While the strikeouts are on pace or a little more, I’m impressed with the fact that the walks are more than the K’s and it comes along with the added power. He’s looked good at 3B as well, having committed no errors thus far this season. He had 4 in his time at 3B last year in Reading. You might think maybe Tomscha will be knocking on the door to AAA by mid-season based on the numbers above. However, there’s a third-baseman at the IronPigs right now who’s playing pretty well in his own right. 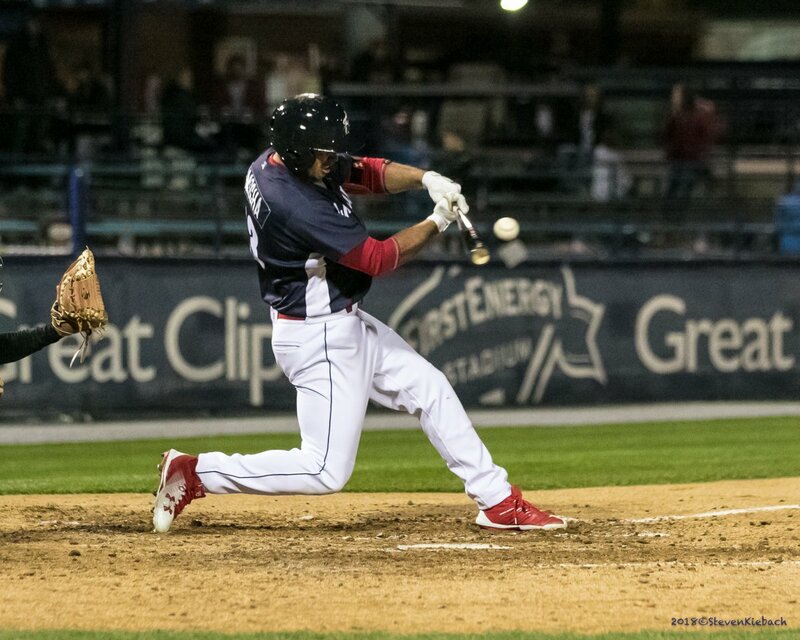 Mitch Walding was fun to watch in Reading last season, slugging 25 HR and making plenty of friends. However, the 32% strike-out rate is kind of alarming. While he did walk 11% of plate appearances, and he did look OK playing for the IronPigs in the playoffs last season, I was cautious about my expectations for him coming into this season. With Will Middlebrooks’ preseason injury paving the way for plenty of playing time, Mitch is still striking out–27% is pretty close given the small sample–but his walks are up to 15.4%. And, he’s hitting: .308/.423/.538/.962 and tied for the team-lead in HRs. He does have an error, but has looked good in the field in the games I’ve seen him. Could he push for his first call-up later this season? I’m not sure. The Phillies signed Trevor Plouffe to a minor league deal, and Middlebrooks could be back at some point too. As it is, Gabe Kapler has plenty of bats to feed in the Phillies lineup and will have options should someone need to take over for Franco. 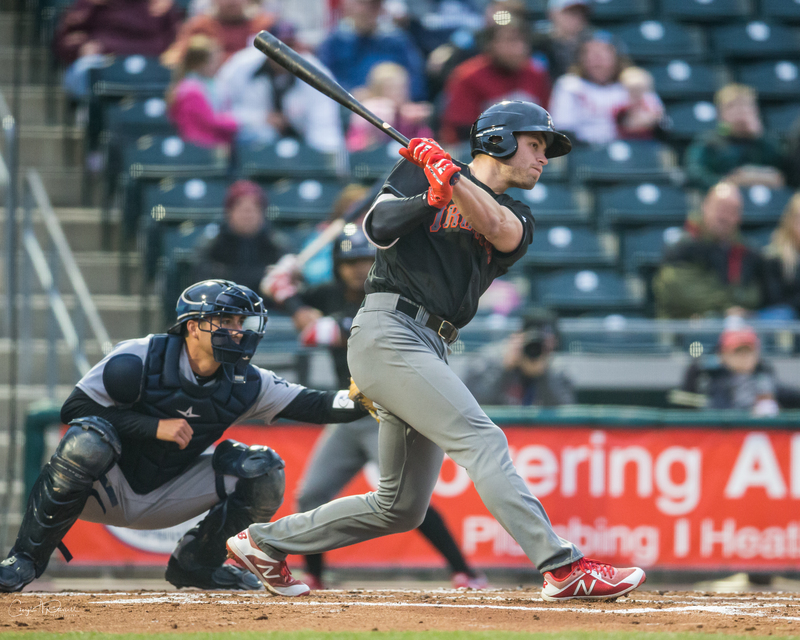 The Phillies system may lack “top prospects” at the hot corner, but here are two upper-level minors guys who should be fun to watch as the season rolls on. As I mentioned for both players–it’s early and the samples are small. Lots can change. But these are two guys I’ve got my eyes on this season.